Walking around the historic centre of Mexico City, where the main buildings are Catholic churches and convents, I am surprised to find in a small square called Loreto, a synagogue surrounded by two churches – Loreto and Santa Teresa la Antigua. The synagogue is easily overlooked at first glance, since its exterior is of a neo-colonial style that blends in with its surroundings, and one only realizes that the building is related to the Jewish people from the two Stars of David at the top of its main door. 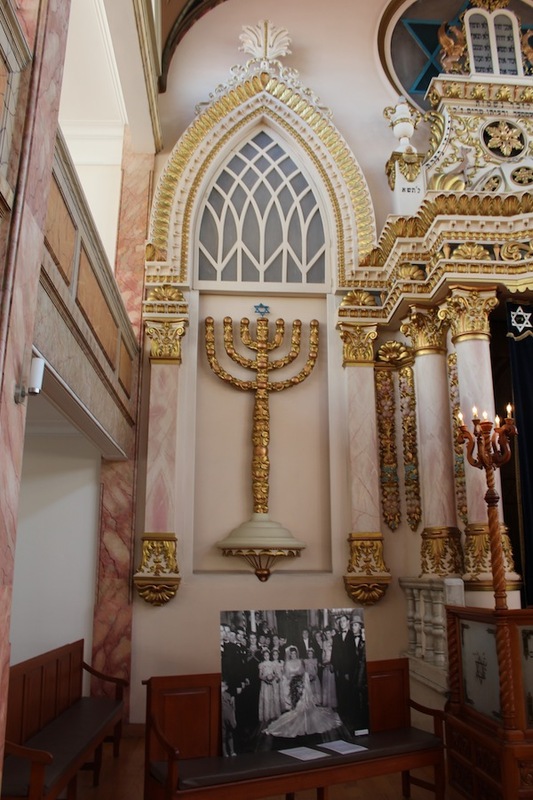 Synagogue Nidje Israel was built by Eastern European (Ashkenazi) Jews who came to Mexico in 1930. It opened for services on Sept. 14, 1941, and closed its doors at the end of the 1970s. It was abandoned for about three decades, until a renovation was begun in 2008. Months of hard work culminated in the synagogue’s reopening on Dec. 13, 2009, and, today, it serves as a cultural centre, and is called Sinagoga Histórica (Historic Synagogue). On entering, I am greeted with great cordiality and informed of the rules that must be followed inside. I pass a small patio that serves as a divider, and encounter the main façade, with its neo-Romantic style. Inside the synagogue, I walk into a salon, where celebrations are carried out in a traditional fashion. There is currently a photography exhibition of festivities celebrated in days gone by. The first floor welcomes me with its open doors, and the first thing I see is the bimah. Located in the centre of the enclosure, it is the largest in Mexico, elaborated in fine woodwork, with stained glass images depicting musical instruments, alluding to Psalm 149. 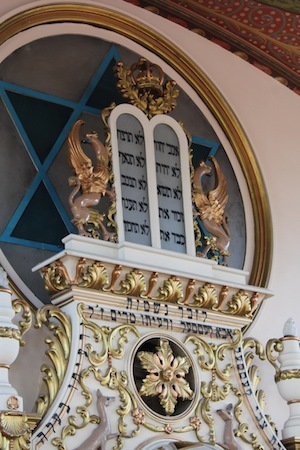 The ark, where the Torah is located, surprises the visitor with its golden columns crowned by the tablets of the law. These are sustained by two mythological animals. The cape that covers the ark door is embroidered with golden thread. The two menorot on each side of the ark enhance the beauty of the whole. The ezrat nashim, the area reserved for women, is on the second floor, as is the mural depicting the Garden of Eden, on which I notice that there are no representations of humans, but only of animals. 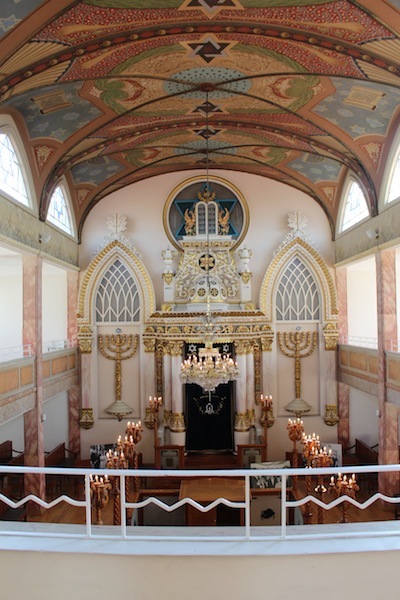 When I stand next to the bimah, my attention is caught by two spectacular elements: the beautiful ceiling painted with vivid colours, with a great number of Jewish symbols, and the majestic candelabra, which was the most difficult element to restore, but an important aspect to remind us of the old synagogues. I sit for a moment just to imagine what it would be like to take part in a religious service in this synagogue full of people. I stand and walk to the exit door, and stop once more to observe for the last time the beauty of the building that continues to amaze me. I want to thank everyone who made it possible to restore this place and open it to the general public, to make better known the culture and identity of the Jewish people in this part of the world. 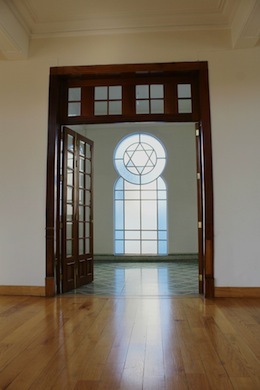 To find out more about Historic Synagogue, visit sinagogajustosierra.com. Rubén López Vargas was born in 1972 and is a lifelong resident of Mexico City. He dedicates himself to photography of social events, historic monuments and colonial architecture. He loves dancing, reading of all kinds, and traveling throughout Mexico. 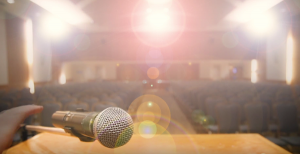 This article was translated by Carl Rosenberg.